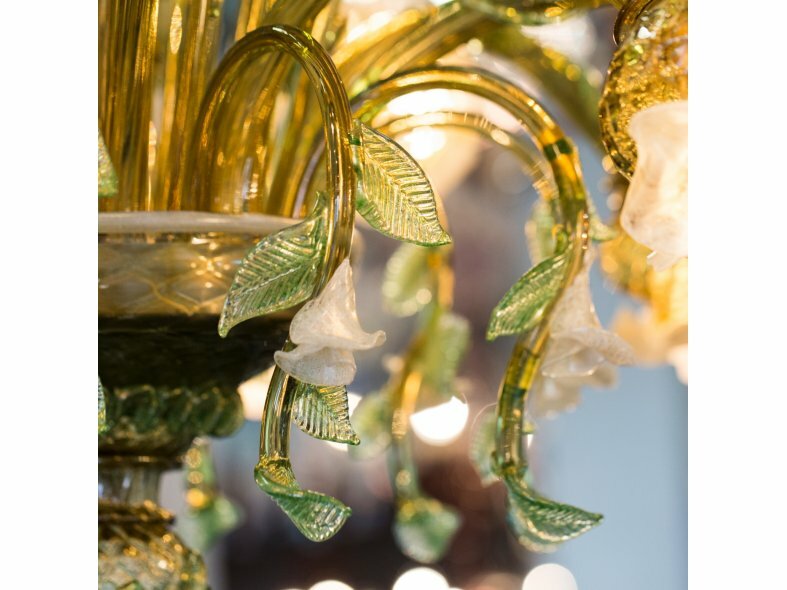 Made by master glass blower Alberto Striulli on the island of Murano in Venice, the Roseto chandelier is one of his signature styles. 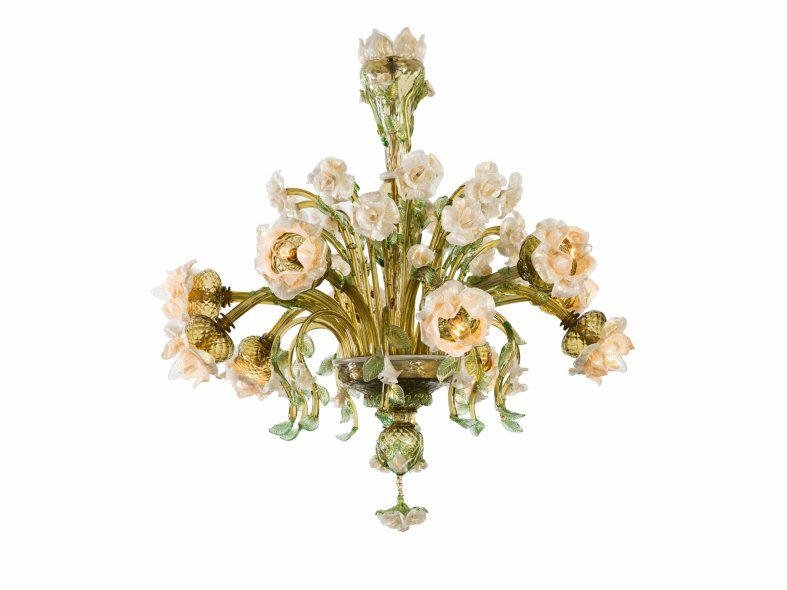 With 10 lights peering out of each large flower, and more bunches in a lovely array above, this chandelier recalls a wild rose garden. 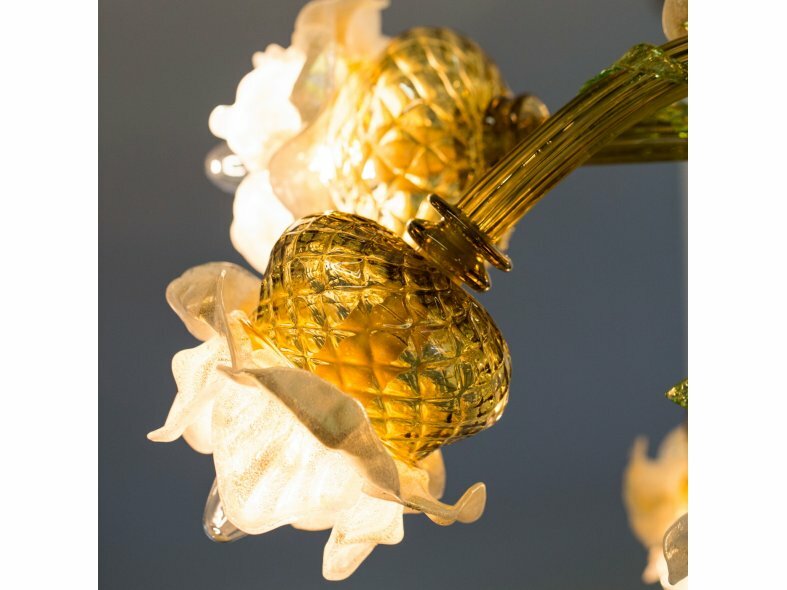 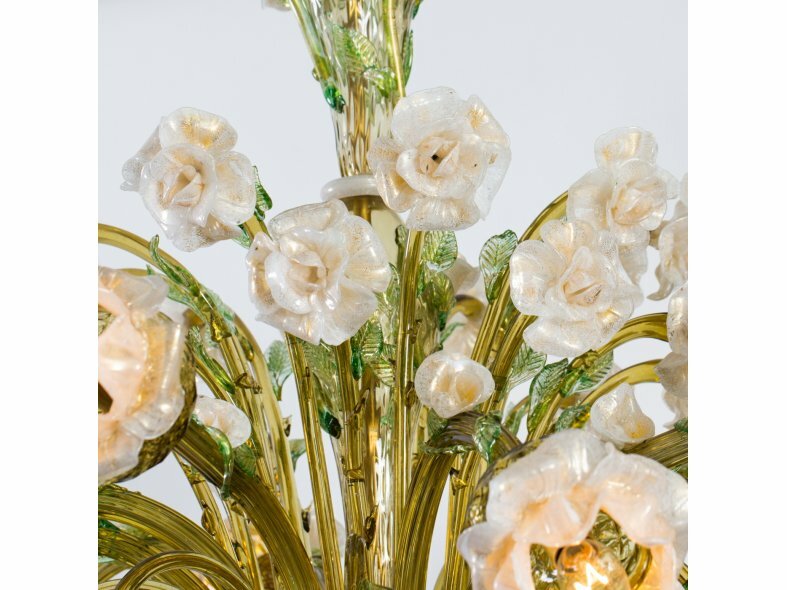 In antique smoky green glass for the leaves and white glass with a gold cast for the roses, this chandelier can be further customized for size and color. 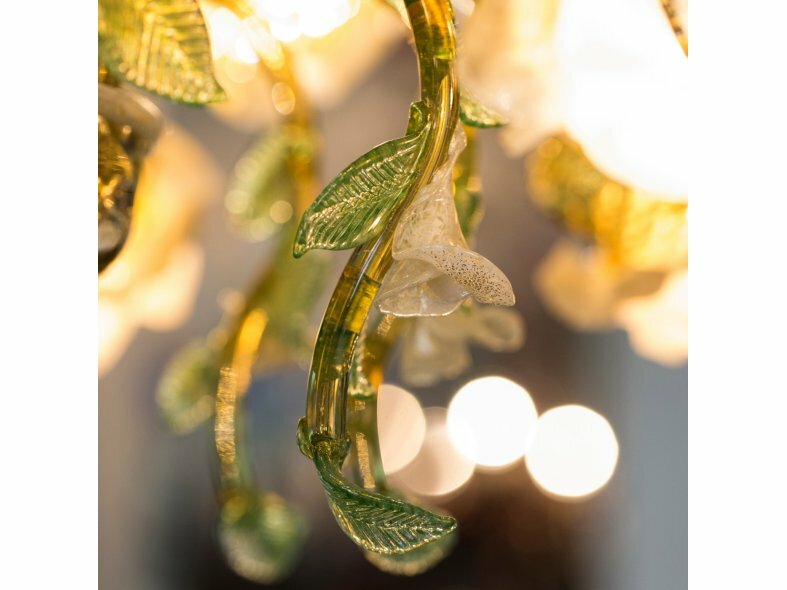 Each chandelier by Striulli is signed and comes with a certificate of authenticity.